The O'Melveny house. Originally built in 1908 by famed architects Hunt, Eager & Burns. 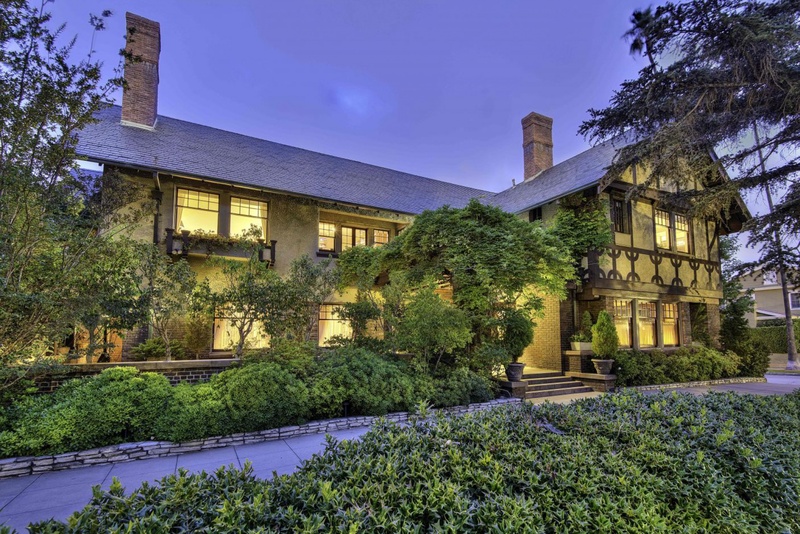 This exquisite English Craftsman estate has been meticulously restored to its original stateliness. Grand formal living and entertaining areas begin in the spectacular wood-paneled foyer, and gracious formal living room which leads out to an expansive covered patio. Exquisite authentic details continue throughout the study, library, and formal dining room. Modern conveniences have been carefully and seamlessly incorporated into the home, including a spacious kitchen with butler's pantry, and gracious his/her closets in the master suite - a rare treat in historical homes. The ¾ acre property includes lawns, outdoor fireplace, meditation pond, and a stunning pool and spa. An absolute treasure in the heart of Los Angeles.